Looking to rapidly deploy the power of Cogito cognitive technology into your existing infrastructure? Cogito API is a ready to deploy and fully configured API series that helps developers accelerate creation and deployment of unique applications that leverage large volumes of unstructured information from multiple sources. Cogito API is easily deployed or integrated for faster evaluation and analysis of content such as web pages, social media data or any big data sets or real-time information streams. Whether an existing API or a unique API designed for your specific application, Cogito semantic technology can be configured and rapidly deployed to empower your application with industry leading semantic technology for extracting knowledge hidden in content. Disambiguate and understand content to organize and classify. Apply semantic reasoning where the context offered by language far out-performs any attempt to inference. Automatically acquire and associate externally linked content based on content-driven relevance just by defining the external source or sources. Use Cogito API for full semantic and natural language processing functions such as text mining (with semantic reasoning and inferential entities), categorization, semantic tagging, sentiment, entity and relationships extraction including, people, places, geography, URLs, email, phone numbers, currency, and much more. Cogito API offers verticalized APIs for Media and Publishing, Advertising, Finance and Fashion, including out-of-the-box, detailed taxonomies and entities databases, to provide more detailed and accurate results. Cogito API is a ready to integrate and “made for developers” REST API. Data output is returned in a UTF-8 JSON or XML format. The Core version of Cogito API, is also available on premise or for online purchase on Google Cloud Launcher. 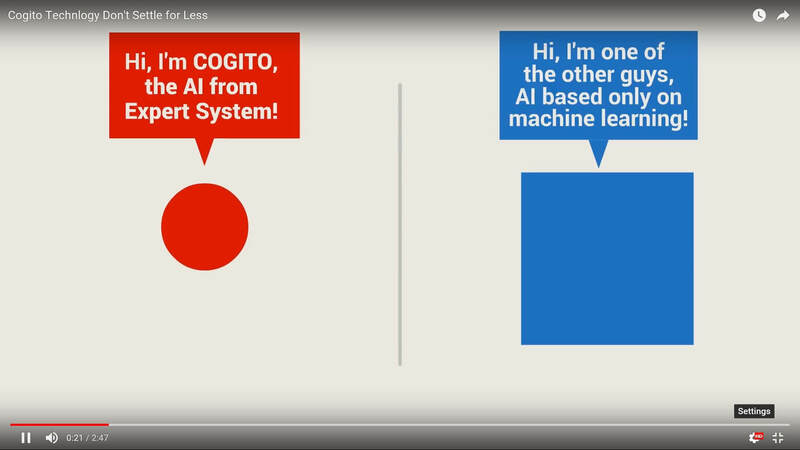 The power of Cogito can be applied to an expanding number of leading technologies and applications. Each of the Cogito integrations have been designed to expand the capability of various offerings by incorporating language and written communication processed by Cogito. All product names used in this website are trademarks of their respective owners, which are in no way associated or affiliated with Expert System. The trademarks of other companies are used solely to identify the products of those companies.